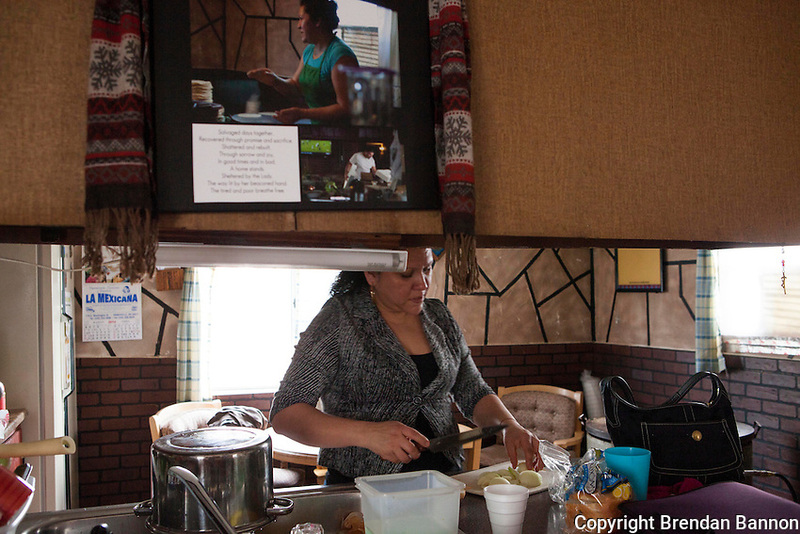 Esperanza Pacheco cooking at home in Painesville after a reprot in with ICE, The Immigration and Customs Enforcement. Her Husband Esubio Pacheco was seperated from his family for two years after a deportation. Esubio is back with his family after courts found his deportation was illegal. Pacheco holds a green card and their children are American Citizens. Brendan Bannon. Paineville Ohio, March 25.